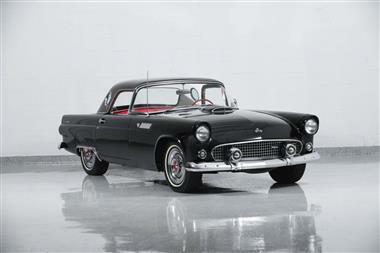 1955 Ford Thunderbird in Farmingdale, NY for sale. 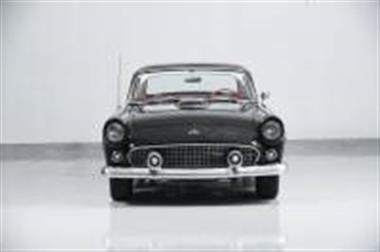 1955 FORD THUNDERBIRD for sale.Motorcar Classics is pleased to present this 1955 Ford Thunderbird featured in Black with Red andamp; White vinyl interior. 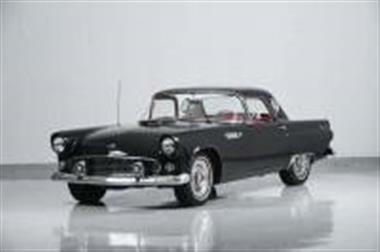 This car has both the hardtop and convertible soft top, and it is equipped with the 3-speed manual transmission. 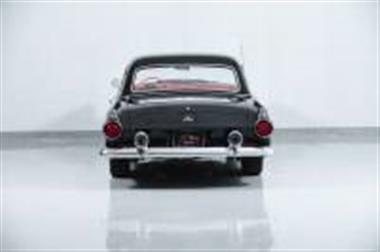 Options include 4-way power seats, AM radio and spoked wheel covers.Fords original two-seat Thunderbird, inspired by Chevrolets Corvette, went into production on September 9, 1954. 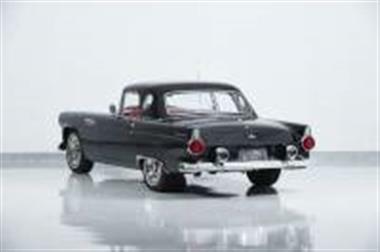 Like Chevrolets fiberglass sports car, the steel-bodied 1955 T-bird rides on a 102-inch wheelbase, but the similarities ended there. 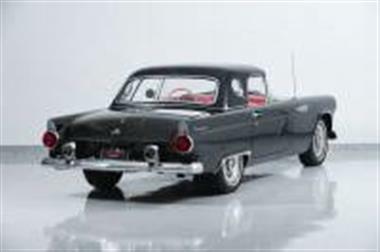 Save for some early applications, a removable fiberglass hardtop was standard, as featured on our fine Black example. Also standard were roll-up windows and V-8 power, all features unavailable to early Corvette customers. 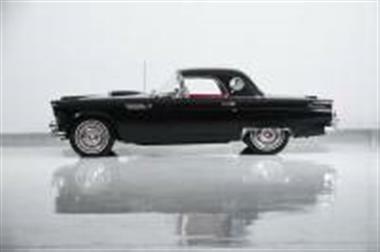 The Thunderbird V-8 is a 292 cubic-inch Y-block topped by a single four-barrel carburetor. Output is 193 horsepower as rated with the standard 3-speed manual gearbox.Our car presents itself in very good condition all around. We would characterize it as a driver rather than a show car, but it will be a source of pride to its next owner and has no needs. It runs and drives well and looks great going down the road. 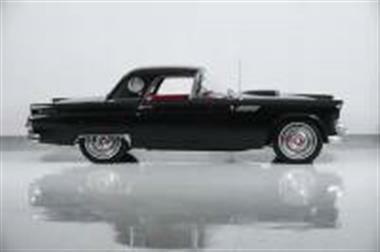 This vehicle is priced $4,077 less than the Average Market Price of $38,977 for a 1955 Ford Thunderbird. This is a Fair Deal as it's priced 10.0 % below market avg. The Pie chart below shows the number of ads within different price ranges.